I love garage sales. Rummaging through other people's junk treasures and finding a bunch of stuff you don't really need, but just have to have? It's amazing the things you can find for a pocketful of change. A friend's Mom from back home once furnished an entire apartment with garage sale finds. It was beautiful and cost her only $75! I love them and couldn't imagine a better way to spend an early Saturday morning. My mother-in-law is more of a fanatic than I am. If you're looking for something, she will ALWAYS find it. And I mean, A-L-W-A-Y-S. I remember when someone needed the back of a clock from a certain make, several years ago. Would you believe she found it like 2 weeks later? We're talking a needle in very big haystack. I've had a doughnut pan on my 'to get' list for a few weeks now. I didn't say anything about it as I knew I would be going shopping stateside within the next few weeks and could most likely find one there. Guess who comes over yesterday with one - in pristine condition nonetheless? Can she read minds now? It was pretty spectacular. She grabbed it in a 'fill a bag for a dollar' at a church rummage sale. How awesome is that? Even more awesome is that I didn't have to wait to get a pan anymore to make these lovely treats. God bless garage sales. And those who throw away money so I don't have to. Preheat oven to 325ºF. 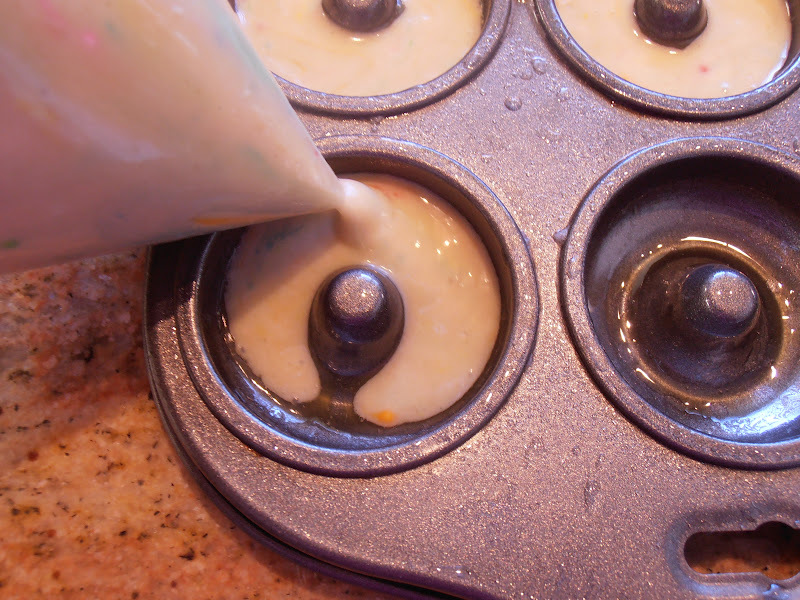 Lightly spray doughnut pan with no stick spray; set aside. 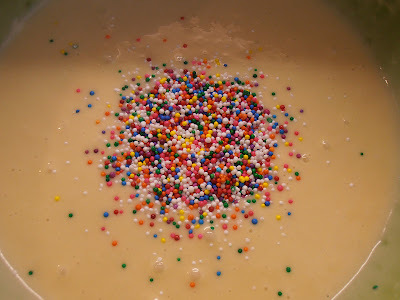 In large bowl, mix flour, cake mix, vanilla pudding, sugar, baking powder, and salt. Stir in milk, egg, vanilla, and butter. Mix well to combine. 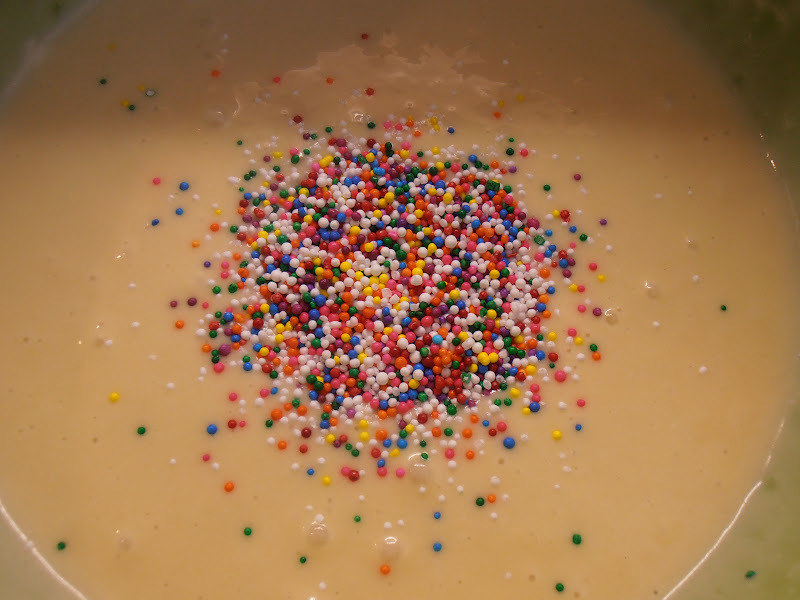 Stir in sprinkles. 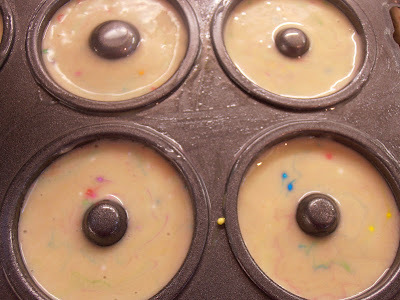 Scrape batter into large ziploc bag, snip corner, and squeeze batter into prepared pan, filling about ¾'s of the way. Bake for 8-10 minutes or until doughnuts spring back when touched. 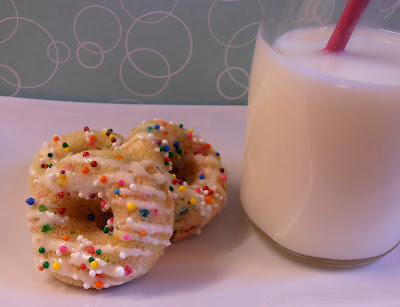 Since I have a mini doughnut pan, mine took 8 minutes exactly. Beat cream cheese until creamy. 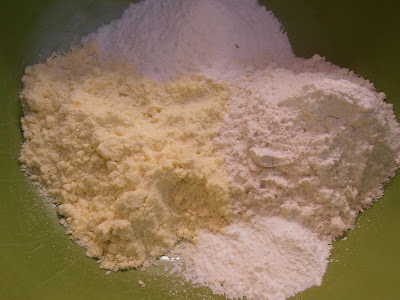 Add powdered sugar and mix until incorporated. 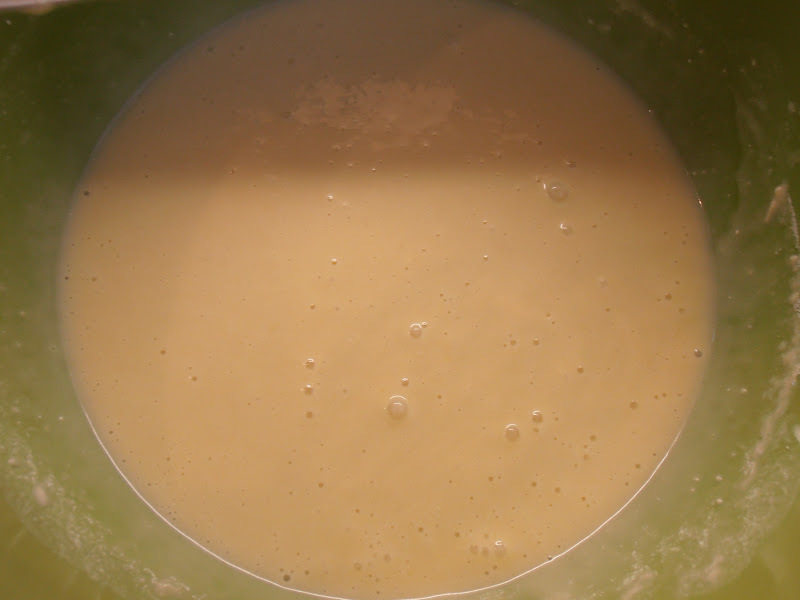 Stir in milk and vanilla. You can add more milk if need be to get desired consistency. Yields: 12 large or 24 mini doughnuts.